The amazing Teen Advisory Board at McLane Children’s is at it again! 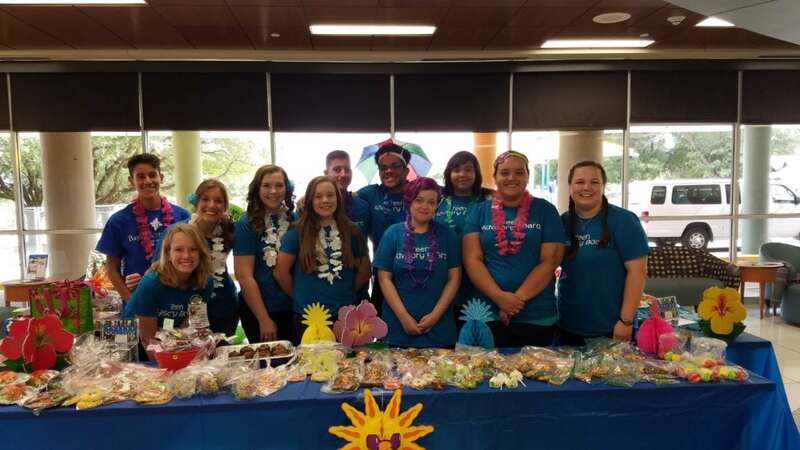 They kicked of their fundraising with a luau themed bake sale! They also sold t-shirts designed by a member of their group. With the money they raise this year they hope to purchase an Osometer for the lab at McLane Children’s. The current Osometer is over 20 years old and the group wanted to provide a much needed piece of equipment. Their goal this year is $31,809.00!